The winners of the British Schools Karting Championship (BSKC) 2013 have enjoyed a VIP tour of the famous McLaren Technology Centre in Woking. The state-of-the-art centre is where Formula one cars driven by renowned speedsters, including Mika Hakkinen, Ayrton Senna and Jenson Button, are designed and housed. The visit celebrates the success of Adam Fleming, 15, Charlie Morgan, 17, and Adam Watkins, 17, from Heart of England School in West Midlands at the BSKC national final. The team achieved high places in all of their six deciding races at the event, which took place in June 2013. 31 teams out of the original 539 that entered this year made it through to compete in the final for the coveted title of BSKC champions. The competition is the largest schools karting competition of its kind. Engineers at the centre have access to the latest technology, which provides them with the tools to design, manufacture and test cars to optimise their performance and ensure their success on the race track. We were amazed by the astonishing equipment, including a laser cutting table where the carbon fibre that accounts for approximately 80 per cent of an F1 car is shaped into parts for assembly, said Charlie. The BSKC was launched in 2007 to provide affordable access to motor sports for school children. The popularity of the competition has increased rapidly since 2007 when only 22 teams entered. This has grown to over 500 teams competing for the last two years. It is a great way for schools to offer a fun and competitive team motor sport to girls and boys, aged 13 to 18, continues Mark Turner. While there are some pupils who already have karting experience taking part, many enter the competition having never participated in motor sports before. 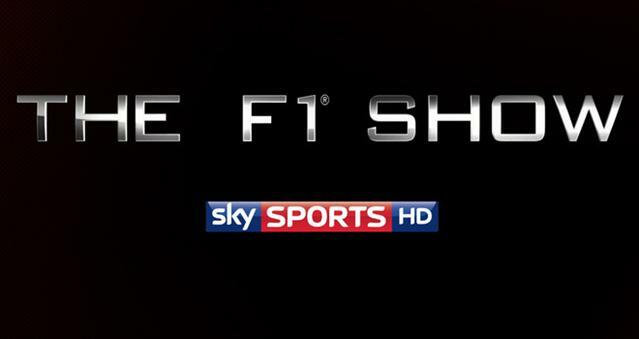 Sky Sports F1 were at the BSKC National Final on Sunday 16th June and are planning to show a piece about the final during 'The F1 Show' on Sky Sports F1 HD on Friday 12th July starting at 20:00. We hope that there will be no tyre controversy to get in the way this time! Everyone interested in the BSKC should set their Sky+ box to record the show! Mark Turner, Championship Manager at the BSKC, said: Coverage of the BSKC National Final on Sky Sports F1 is a ringing endorsement for the efforts put in by the teams. Karting should be part of the sports activity of every school so letting more people know about the BSKC can only help to bring the excitement of competitive karting to more students." The BSKC is an affordable way for novice and experienced karters to enjoy a fun and competitive team motor sport. With all the equipment and karts provided, all students need to do is turn up and drive. It provides an alternative sport for schools to offer children that are not interested by football, rugby or netball. 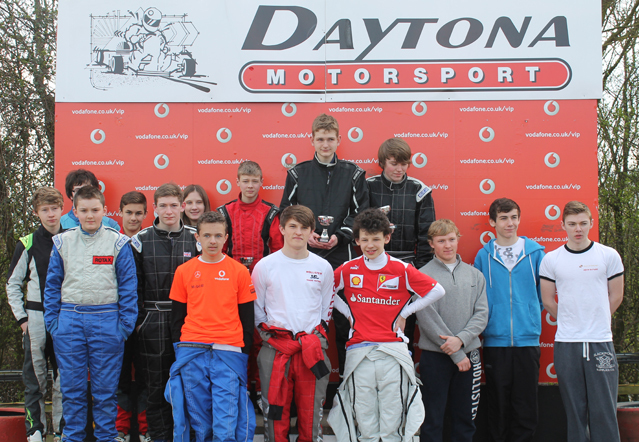 School at 'Heart of England' crowned British Schools Karting Champions! Consistency paid off for three talented boys from Heart of England School near Coventry, who have walked away as winners of the acclaimed British Schools Karting Championship (BSKC) 2013. The team from the Midlands secured victory by placing highly in every race they entered throughout the hard fought final of the UKs largest schools karting competition. 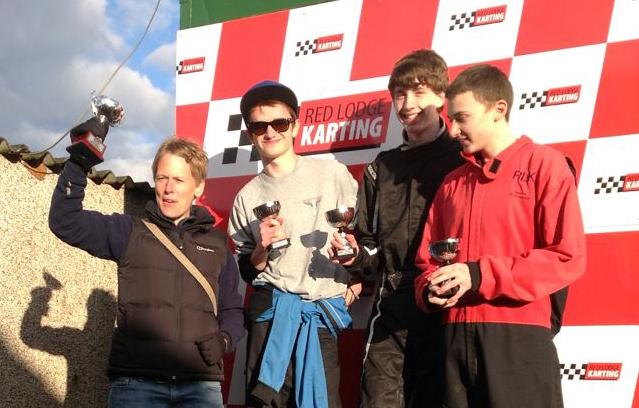 Team members, Adam Fleming, 15, Charlie Morgan, 17, and Adam Watkins, 17, were crowned champions after achieving three second places, one fourth and one fifth place in the deciding races. The final took place on Sunday 16th June, when 31 teams out of the original 539 that entered the championship, went wheel to wheel at Whilton Mill karting circuit in Northamptonshire. As well as earning the title of BSKC Champions 2013, the boys will soon enjoy their prize, which is a once-in-a-lifetime trip to visit McLaren Technology Centre in Woking. As part of their VIP tour, they will see the 145 metre long wind tunnel where car performance is tested and will get up close to the cars driven by some of the most successful Formula 1 stars, including Mika Hakkinen and Lewis Hamilton. Heart of England Schools headteacher, Andrew Mackereth, said: I am thrilled for the boys, the school and their fabulous parents. We have been part of the BSKC since 2009 and have been steadily building to this historic victory. My boys have been tremendously dedicated as have their wonderful parents. Second place in the championship went to The Leigh Technology Academys Alex Nevill, 19, Felix Meek, 14, and Frankie Hedges, 15 from Kent. Third place went to Liam Wilson, 16, Callum Cripps, 16, and Jake Banyai, 15, the team from Southam College, Warwickshire; an impressive result for the three boys as it was their first time in the competition. The final consisted of 10 sprint races and competitors were treated to good driving conditions all morning until the rain came down in the final race. Mark Turner, Championship Manager at the BSKC, said: The talent displayed at this years national final was immense and the competition was so close that no-one was able to predict the winner until the final announcement. This just goes to show how much effort the teams put into the competition and it is this determination that makes it is such an exciting championship. I extend my congratulations to the Heart of England Schools winning team, who are one of the longest running teams in the competition. What helped them come out on top was the strength of all three team members and it shows how much of a team sport BSKC really is. The BSKC is an affordable way for novice and experienced karters to enjoy a fun and competitive team motor sport. With all the equipment and karts provided, all students need to do is turn up and drive. It provides an alternative sport for schools to offer children that are not interested by football, rugby or netball. 1 Heart of England 88 2013 BSKC Champions! With less than week until the national final of the UKs largest schools karting competition, British Schools Karting Championship (BSKC) 2013, excitement is growing at schools and colleges around the country. Just under 100 young people from all over the UK will travel to Northamptonshire this Sunday, 16th June, to pit their wits against karting rivals at Whilton Mill racing circuit. The aspiring F1 drivers will go wheel-to-wheel with the hope of being crowned British school karting champions. The 32 teams of talented racers, aged between 13 and 18, have secured a place in the final after achieving success in nine regional finals, which were contested by 163 of the 539 teams that entered the competition this year. Altrincham Grammar School are one of the schools to watch on the day. The school was crowned champions in 2011 and came a very close second in 2012. This years team put in an astonishing performance at the North West regional final with five podium places. Bishop Stortford School could also do well if they repeat their performance in the London & South East regional final, where they scored 99 points out of a possible 100. The BSKC is a unique competition that has been specifically developed to inspire future racing champions and give schools a new team sport to offer students not excited by sports such as football or rugby. Now in its seventh year, the BSKC offers the opportunity for school and college students to take part in an exciting, nationwide knockout karting competition that does not require previous experience, equipment or substantial expense. Mark Turner said: The BSKC was set up to provide a platform for schools and parents to get young people involved in karting. It is a sport that can appeal to students who are not interested in traditional sports as well as those who already have an interest in karting outside of school. A talented team of karters from Altrincham Grammar School are delighted to have won the North West regional final of the British Schools Karting Championship (BSKC) 2013. 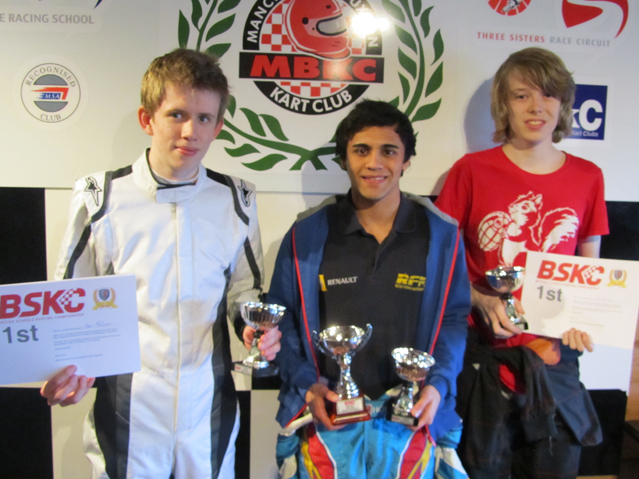 Zubair Hoque, 16, who was part of the BSKC Championship winning team in 2011, Harry MacDonald, 17, and Ben Macauley, 16, will go forward to the national final of the BSKC on 16th June, where they will have the chance to battle it out for the crown of British national karting champions. As the sun made an appearance from behind the clouds at the Three Sisters karting track in Wigan on 17th April, there was little that could stop the boys. The champions put in an astonishing performance on the race track with five podium places, including two wins and a second place. Their speed secured them first place against Emrys School, who were their closest competitors. Over 1600 boys and girls from schools across the country are competing in the BSKC this year, enabling both seasoned and novice karters to experience the thrill of motor racing while representing their school. The lucky winners of the 2013 national final will be given a VIP tour of the McLaren Technology Centre, which houses cars that have been used by Formula 1 racing legends, including Mika Hakkinen and Lewis Hamilton. The champions will also see the 145 metre long wind tunnel where engineers are able to test the performance of their cars. Mark Turner, Championship Manager at the BSKC, said: Its great to see Altrincham Grammar School return for the third year running to our national final. The BSKC continues to be a great platform for talented karters like these to demonstrate their driving skills and fly their school flag. Karting was the first step that most of todays Formula 1 racing stars took into the exciting world of motor sport. By offering schools a simple route to karting, the BSKC has helped make it more accessible to children of varying abilities and encouraged young talent into the sport. 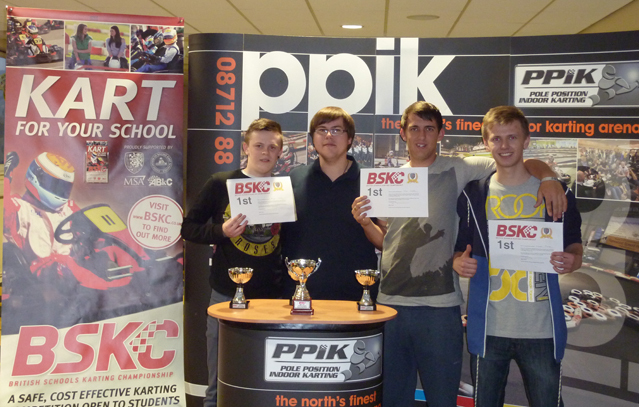 The BSKC is the largest schools karting competition in the country. 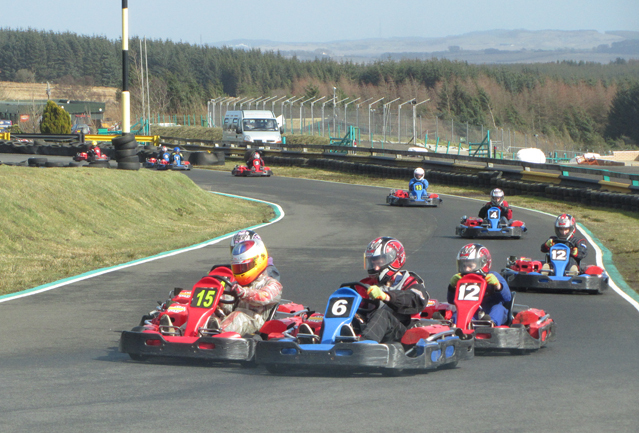 It offers schools a cost-effective way to introduce students aged 13 to 18 to karting as all equipment and karts are provided by the local participating circuit. The students just need to turn up and drive. Three students from Campbell College in Belfast will be travelling to England this summer to go wheel-to-wheel with the best school karting teams in the UK. 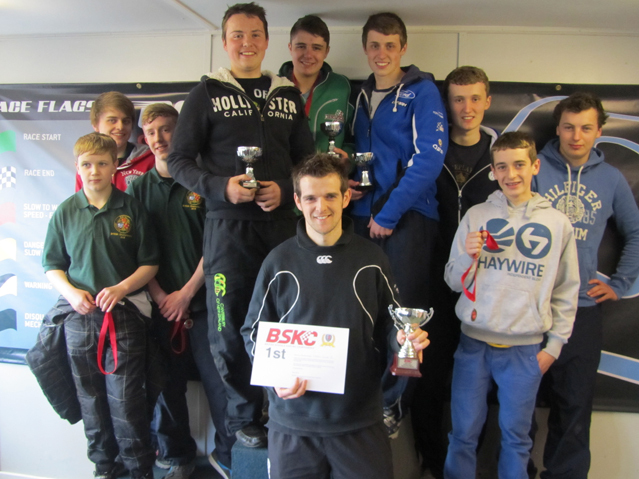 This follows their win at the Northern Ireland final of the British Schools Karting Championship (BSKC) 2013. Following their success, Jack McConnell, 17, James Phillips, 16, and Aaron McCutcheon, 15, will go forward to the national final of the BSKC at Whilton Mill, Northamptonshire, on 16th June, where they will have the chance to battle it out for the crown of BSKC champions 2013. On a sunny day with occasional showers, the winning team raced their way to success on the karting track following four podium place finishes at Nutts Corner kart circuit on 25th April. The team, who got off to a slow start in the first two rounds, fought back against nine of the best young karting teams from across the region to achieve a second place followed by three wins. Over 1600 boys and girls from schools across the UK are competing in the BSKC this year, enabling both seasoned and novice karters to experience the thrill of motor racing while representing their school. Mark Turner, Championship Manager at the BSKC, said: Congratulations to the Campbell College team for making it through to the national final again. It is great that the BSKC is providing an opportunity for schools across the UK to get involved in this thrilling sport. A team of three students from Winton Community Academy in Andover have taken the chequered flag, triumphantly winning the South West Regional final of the British Schools Karting Championship (BSKC) 2013 on Sunday 21st April. Due to their ages, it was the last opportunity for the students to take part in the competition, which is aimed at school children from aged 13 to 18 years. The determined team, Nigel Carter, 18, Luke Clark, 18, and Lee Galpin, 18, battled it out successfully against 35 other teams from schools across the region. Following their success, the team will go forward to the national final of the BSKC, where they have the chance to compete for the crown of British champions 2013. Over 1600 boys and girls from schools across the country competed in the BSKC this year, which enables both seasoned and novice karters to experience the thrill of motor racing while representing their school. Mark Turner, Championship Manager at the BSKC, said: We extend our congratulations to Winton Community Academy on their success and look forward to seeing how they do in the final in June. The benefits of involvement go far beyond experiencing a new sport. Students rave about how participation in karting has improved their confidence and motivated them to work harder in all aspects of their school life. Celebrations are taking place at Debenham High School in Suffolk after three students won the East of England regional final of the British Schools Karting Championship (BSKC) 2013. Following their success, Kye Springfield, 15, Charlie Machin, 14, and Cameron Hallett, 14, will go forward to the national final of the BSKC in Whilton Mill, Daventry, on 16th June where they have the chance to battle it out for the crown of British champions. On a chilly day with sunny spells, the winning team raced their way to success at Red Lodge circuit near Bury St Edmunds on 27th April. The team fought off close competition from Skegness Grammar School and Thomas Gainsborough School to secure two wins and three podium places in the six sprint races. This will be team member Charlie Machins second time in the national final and hell be hoping to improve on the schools 25th place from last year. Mark Turner, Championship Manager at the BSKC, said: Well done to Debenham High School for making it to the national finals. It is great that young karters, like Charlie, are making it through to the final stages of the competition. It is proof of what a great platform it can be for talented students to get involved in this exciting sport. 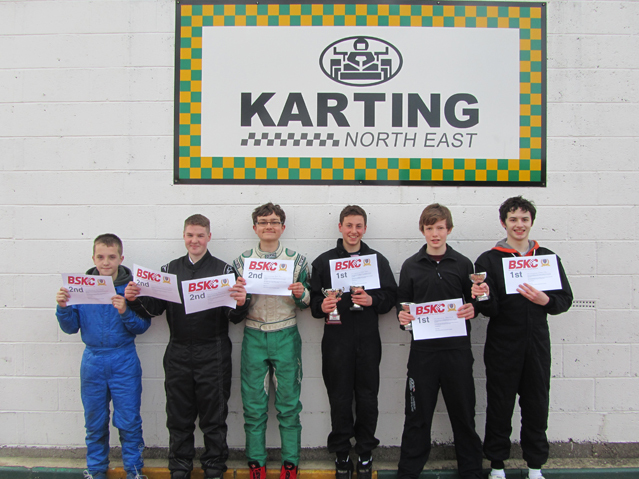 A team of three students from the Royal Grammar School in Newcastle are celebrating their victory at the North East Regional Final of the British Schools Karting Championship (BSKC) on Tuesday 23rd April. The teenagers, Jonny ONeill, 16, Freddie Winter, 14 and James Baker, 14, emerged triumphant by putting in a strong performance in each of the six sprint races at Warden Law circuit in Sunderland. On a beautiful sunny day, the three boys secured the top place with two wins and an impressive five podium finishes. 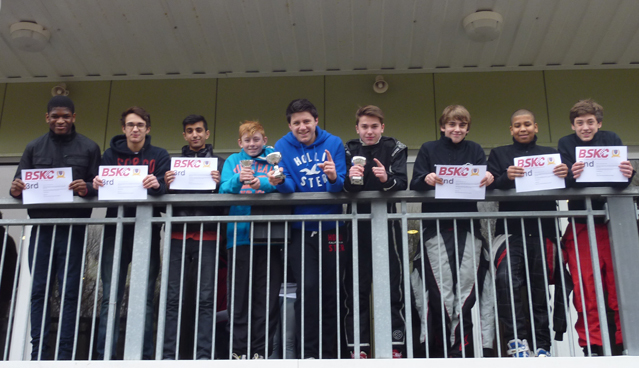 The students now have the opportunity to continue their successful run in the BSKC 2013 national final at Whilton Mill, Northampton, on 16th June 2013. Here they will race against the best young karters from around the country to battle it out for the coveted title of overall BSKC national champions 2013. Over 1600 boys and girls from schools across the UK are competing in this years competition, which is enabling both seasoned and novice karters to experience the thrill of motor racing while representing their school. The lucky winners of the national final will be given a VIP tour of the McLaren Technology Centre, which houses cars that have been used by Formula 1 racing legends, including Mika Hakkinen and Lewis Hamilton. The champions will also see the 145 metre long wind tunnel where engineers are able to test the performance of their cars. Mark Turner, Championship Manager at the BSKC, said: Congratulations to the Royal Grammar School team on their win. With students from 13 to 18 years old competing against each other, it is proof that age does not hold back the younger teams from doing well. I look forward to seeing how the team does in the national final. Karting was the first step that most of todays racing stars took into the exciting world of motor sport. By offering schools a simple route to karting, the BSKC has helped make it more accessible to children of varying abilities and encouraged young talent into the sport. Six boys, who attend the Bransholme Urban Motor Project (BUMPs) in Hull, are celebrating after a tenacious performance that secured them the top two places at the Yorkshire & Humber regional final of the British Schools Karting Championship (BSKC) 2013. Following their success, the two teams of three will go forward to the national final of the BSKC where they have the chance to battle it out for the crown of British champions. The winning team displayed their talent on the karting track following three wins out of six races at Pole Position Karting in Leeds. Connor Rouse, 18, Max Welsh, 18, and Ryan Colley, 17, put in a bold performance against 10 of the best young karting teams from across the region. BUMP's, part of the Hull City Councils Youth Development Service, provides young people who have personal and social issues the opportunity to experience a range of motor based learning activities to increase their self-esteem and improve their employability skills. Mark Turner, Championship Manager at the BSKC, said: Congratulations to the BUMPs team for making it through to the national final. It is great to see teams from youth projects doing so well in the competition. 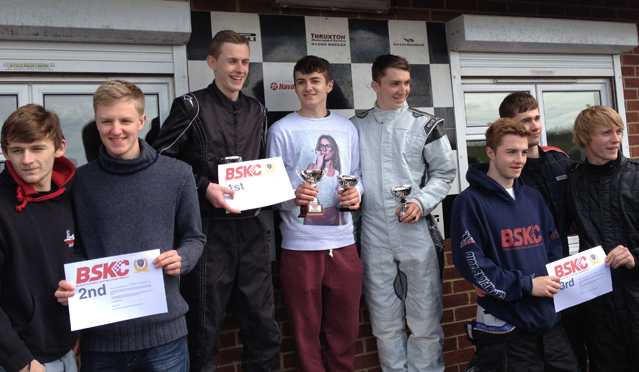 Their success at the regional final is proof of how engaging karting can be for young people. Three skilled students from Kenilworth School delighted both their parents and teachers by winning the British Schools Karting Championship (BSKC) Midlands regional final on Friday 19th April. The Kenilworth team, Adam McConville, 16, Ryan Stevens, 15, and Spencer Olds, 13, were top of the leader board following a close-fought battle in six sprint races against some of the best school karting teams in the Midlands. Despite the blustery weather, the boys put in a consistent performance securing three second places and a total of four podium places on the day at Daytona Circuit in Milton Keynes. 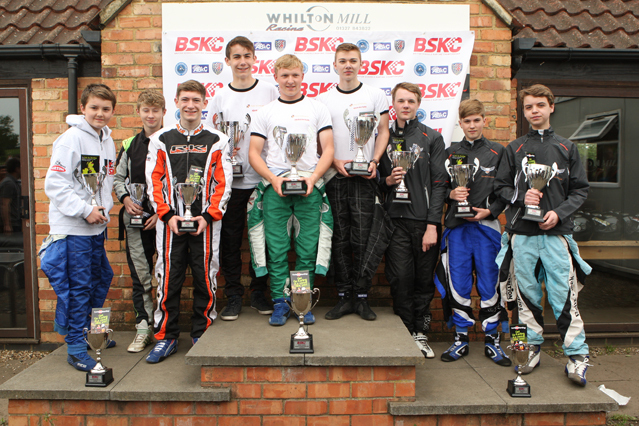 The students now have the opportunity to continue their successful run at the BSKC 2013 national final at Whilton Mill, Northampton on 16th June 2013. Here they will race against the best young karters from around the country to battle it out for the coveted title of overall BSKC national champions 2013. Mark Turner, Championship Manager at the BSKC, said: Well done to Kenilworth School who came back this year fighting for first place at the Midlands championship. It is also interesting to note that four of the top five teams came from our events run by Mr Karting in Leamington Spa. Clearly their experience there enhanced their performance at the regional final. Three talented students from Edinburgh College drove their way to success at the British Schools Karting Championship (BSKC) Scottish final on Tuesday 16th April. The team of three boys, Michael Weddell, 18, Michael Boyd, 18, and Ryan Smith, 18, have been crowned Scottish champions of BSKC 2013 following a tough sprint to the finish. 15 of the best school karting teams from across Scotland battled it out at Knockhill circuit in Fife after earning their places at the regional final following success at 8 semi-finals events held north of the border. Despite the strong wind and occasional showers, the Edinburgh College team made a sterling effort to secure first place following two wins and five podium places on the day. The students now have the opportunity to continue their successful run at the BSKC 2013 national final at Whilton Mill, Northampton on 16th June 2013. Here they will race against the other regional champions and best young karters to battle it out for the coveted title of overall BSKC champions 2013. Michael Weddell, one of the team members, said: Being 18, this is our last chance to represent Scotland and our school in the BSKC so we were really determined to do our best. The race was incredibly close, and we went head-to-head with some of the most talented young Scottish karters, but we pulled together on the day to ensure that our tactics on the track would secure us the winning position. Over 1600 boys and girls from schools across the UK competed in this years competition, which has enabled both seasoned and novice karters to experience the thrill of motor racing while representing their school. Mark Turner, Championship Manager at the BSKC, said: There was a lot of excitement among all the teams who competed in this years Scottish regional final. They did extremely well given the rather difficult weather conditions. Edinburgh College should be very proud of their success. It is great to see teams coming back again and improving on their performance from the previous year. Overall Results of Scottish Final. 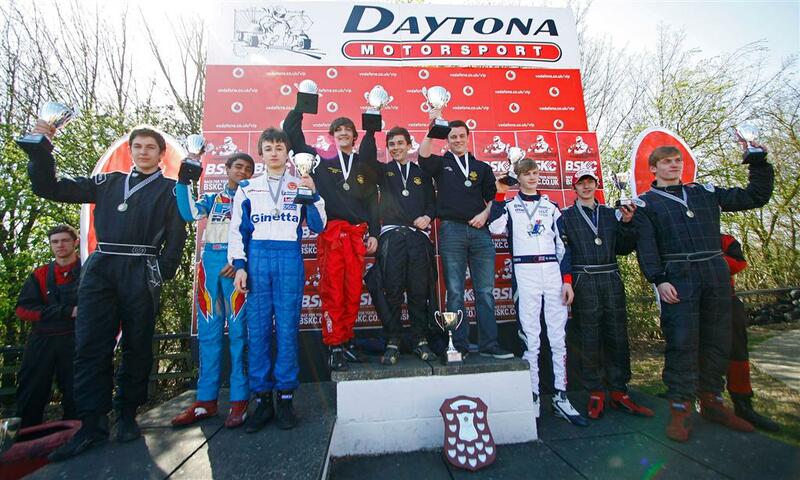 Three dynamic students from The Bishops Stortford High School (TBSHS) are celebrating having taken the title of London & South East Regional Champions in the British Schools Karting Championship (BSKC) 2013. 32 teams from 25 schools competed in the regional competition, which took place at Buckmore Park karting circuit in Kent on Saturday 23rd March. On a freezing cold day with light snow, Joe Wiggin, 17, George Garrett, 14, and Jamie Rushworth, 13, from TBSHS battled it out to secure first place following four wins and six podium places. The students now have the chance to fight for the overall British champions title against winners from nine other regions across the UK at the BSKC 2013 national final at Whilton Mill on 16th June 2013. The win is the schools second regional final win in three years. Over 1600 boys and girls from schools across the country are competing in this years competition, which has enabled both seasoned and novice karters to experience the thrill of motor racing while representing their school. 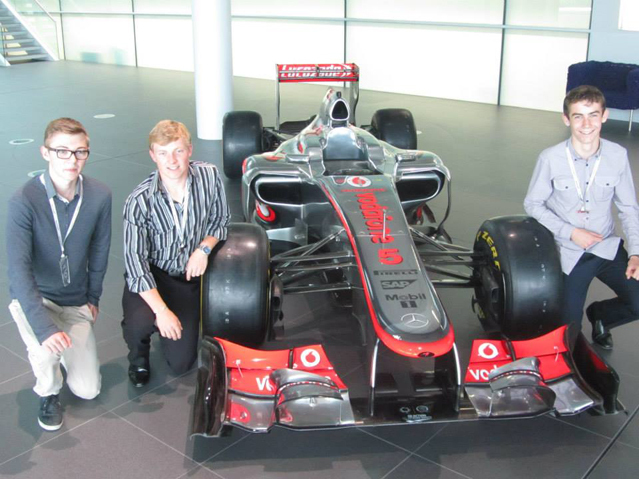 If the students make it all the way and are crowned winners of the national final in June, they will be given a VIP tour of the McLaren Technology Centre, which houses cars that have been used by Formula 1 racing legends, including Mika Hakkinen and Lewis Hamilton. Karting was the first step that most of todays Formula 1 racing stars took into the exciting world of motor sport. By offering schools a simple route to karting, the BSKC has helped make it more accessible to children of varying abilities and encouraged young talent into the sport." Overall Results of London & South East Regional Final. 8 Warden Park Academy 85 So close to qualifying! The winners of the largest schools karting competition in the UK, the British Schools Karting Championship (BSKC), will be rewarded with a once-in-a-lifetime VIP tour of the McLaren Technology Centre, the place where McLarens Formula 1-winning cars are designed and built. The winning team will be given a behind the scenes look at one of the most advanced factories in the world and some of the greatest race cars driven by racing legends including Ayrton Senna, Mika Hakkinen and Lewis Hamilton. The champions will have the chance to see inside McLaren Racing, where the Vodafone McLaren Mercedes Formula 1 cars are designed and built, and then visit the astonishing 145 metre long wind tunnel where the performance of the cars is measured. The BSKC is open to students aged 13 to 18 and is a cost effective way for schools to offer karting as a sport as teams do not need their own kart or equipment. Teams of three can simply arrive-and-drive at one of 66 participating karting circuits located across the country. To register for the BSKC, schools and racers should visit www.bskc.co.uk/register before the end of December 2012. Schools across the UK can give their students the chance to race in the coveted British Schools Karting Championship (BSKC) 2013 by registering to participate from today. Teams that pay their entry before 31 October receive a discount that keeps the entry cost at the 2011 level of only £45 per student. 10 new kart circuits have already been added to the 2013 competition and the hope is that this will rise to over 15 before long. This should mean that schools have better access than ever before to race in the BSKC. As well as the overall BSKC champions, 10 regional champions will also be crowned for teams competing in London & South East, South West, East of England, Midlands, North East, North West, Yorkshire & Humber, South, Scotland and Northern Ireland.